Microscope Imaging Station. Zebrafish: A model for heart development. 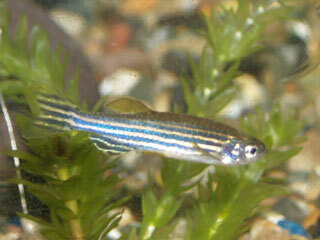 Covered with iridescent scales and black stripes, zebrafish (Danio rerio) are popular in home aquariums. However, these little one–to two–inch fish, natives of India's Ganges River, are also helping biomedical researchers learn about how our hearts develop and function—and what can make them fail.